Exactly five years ago, on the eve of the Lord's great Feast of the Holy Transfiguration in 2010 the great man and respected hierarch of the Serbian Orthodox Church, Metropolitan Christopher Kovacevic reposed in the Lord. He spent his last days at St. Sava Monastery in Libertyville. He lived in this monastery for over twenty years. He passed away in his room, on his bed, surrounded by his children and grandchildren. If anyone can be referred to as an inviolable witness and laborer in the era of the Serbian diaspora on the North American continent, then it would certainly be Metropolitan Christopher of blessed repose. Preacher, translator, clergyman, father and hierarch. He truly responded to the time God sent him to as well as to his calling. A bishop who marked the historical trends in the crucial moments of the Serbian Orthodox Church in the United States of America and Canada. Someone who directly participated in defense of the unity of the Church of Christ, fighting to prevent the tearing of the garment of St. Sava and a division among brothers. I remember my last conversation with him. I was preparing for my vacation to Serbia. I wanted to stay in Libertyville, but he convinced me to go and visit my mother and father. Already visibly ill, he said he was fine and that we'd see each other once more. We did see each other once more but it was at his funeral. I remember the concern and love he had for us, the ones he ordained. He was a man of high morals. He taught and preached tirelessly. He didn't hesitate in pointing out injustices. He was an exceptional organizer of church-administrative order. He was a father in the true sense of the word. Strict, but also gentle at the same time, full of sincere love and understanding. At only seventeen years old, Metropolitan Christopher, then seminarian Velimir, met St. Bishop Nikolai at St. Sava Monastery in Libertyville. It can be said that this encounter with this holy man laid the foundation for the deteriming of his young profile as well as his entire life's path. Velimir was the seventh of twelve children. He grew up in the church at Sts. Constantine and Helen in Galveston. The Galveston church is one of the oldest Serbian churches in America. The church was consecrated by Bishop Nikolai of the Russian Diocese in Alaska on June 3, 1896. Velimir helped in the altar ever since he was a young boy. During summer break he worked in a bakery and delivered newspapers. Once finishing his elementary studies he went to Libertyville in 1945 where the St. Sava Seminary had just been opened. The desire of Bishop Mardarije Uskokovic, the first bishop of America and Canada, was to have a Seminary at St. Sava Monastery in Libertyville. With God's providence his wish was fulfilled by his successor. Bishop Dionisije of America and Canada on many occasions addressed the Serbian government in London, but with no success, regarding the financial support in opening a seminary at St. Sava Monastery in Libertyville. However, at the 5th Church-Laity Sabor in Chicago in 1944, the initiative was launched for the opening of a seminary. A decision was made that the first seminarians temporarily stay at St. Vladimir's Academy in New York. 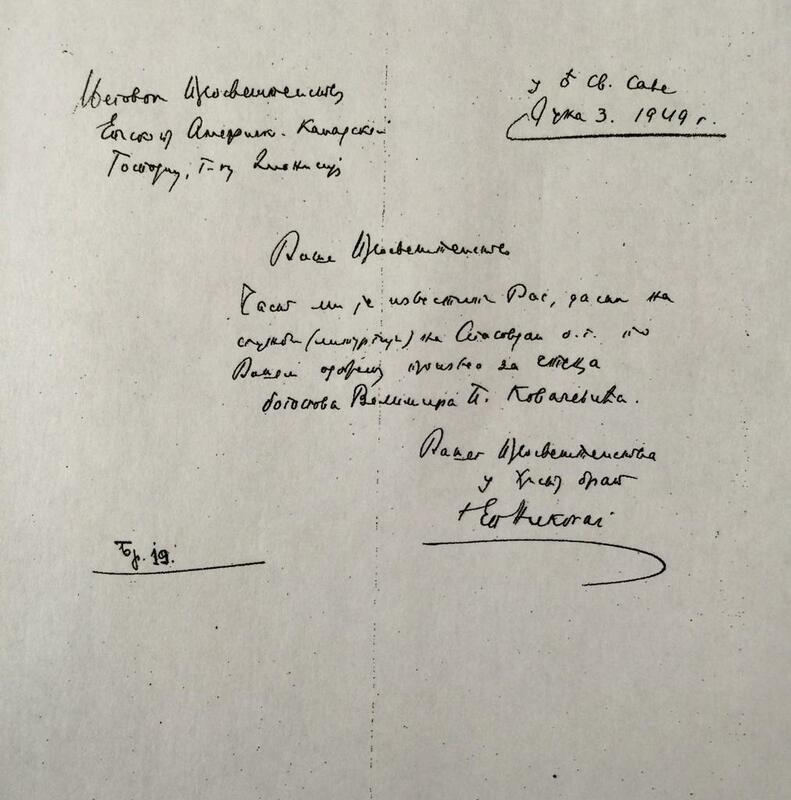 In August 1944 Bishop Dionisije addressed the dean, Bishop Makarius Ilyinsky, for him to receive five Serbian students. Since there was no more room it was decided to send the already accepted candidates to the living quarters in Libertyville where the seminary was opened quickly and unplanned. After Word War II, through God's providence and will, a number of clergy and highly educated theologians emigrated to America. They immediately joined in the work of the newly established Seminary. Bishop Dr. Nikolai Velimirovic taught New Testament and homiletics, Bishop Dr. Irinej Djordjevic taught patrology and apologetics, Bishop Dionisije Milojevic taught canon law and liturgics, Archimandrite Firmilian Osokoljic taught church history and dogmatics. The other subjects: Serbian history, Serbian language, Old Testament, Church Slavonic, were taught by clergy: Milan Brkic and Jovan Marcetic, Hieromonk Dimitrije Balac, Vojislav Dosenovich, Consul Bozidar Stojanovic and Charles Cook. The seminarians took one part of their exams at the Anglican seminary „Nashotah House“ in Wisconsin. Six out of the seven students completed their studies. Two of them were tonsured monks, while the rest were ordained to the priesthood. One of them was Velimir Kovacevic from Galveston, later Metropolitan Christopher. 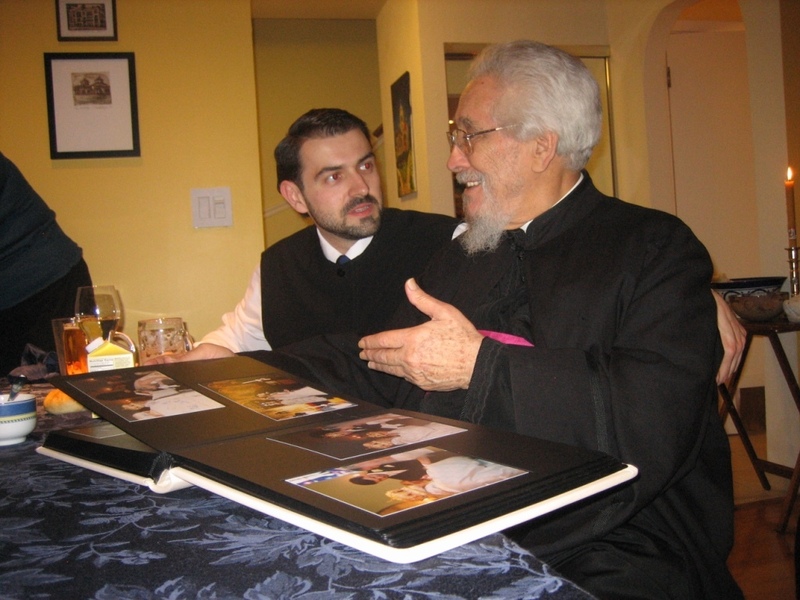 He had the honor of having Bishop Nikolai Velimirovic as one of his professors. Since Velimir was born in America one of his duties was to review and correct the texts written by Bishop Nikolai in English and he would also drive him around from time to time. He told me that Bishop Nikolai liked driving fast. Among other things Metropolitan Christopher told me once, "While we were driving Bishop Nikolai would often say: 'Velimir, Veljo, can you go a little faster.' And we'd be in an old car....And when I'd take him to the markets in Chicago, the bishop would turn over and examine with his cane some old clothes on the ground as if completely interested in what was being offered. Then we'd go to the fish market. And here Bishop Nikolai would spend a long time by the aquariums with the eels. I assume it reminded him of Ohrid,“ Metropolitan Christopher recalled. Velimir Kovacevic finished the Seminary in Libertyville in 1949 when he moved to Akron, Ohio. With the blessing of his bishop, Bishop Dionisije, Bishop Nikolai ordained him to the rank of Reader on Ascension 1949. He continued his studies at the State University. During that time he met Milka Raicevic with whom he entered into holy matrimony on September 20, 1951. That same year he was ordained a deacon, on November 25th and on December 2nd he was ordained a priest. Both ordinations were officiated by Bishop Dionisije. From 1951-54 he served the St. Nicholas Church in Johnston, Pennsylvania. During this time two of his sons were born, Peter and Paul. In addition to his parish duties Fr. Velimir completed his studies in philosophy and received his master's degree in history at the University of Pittsburgh. In 1954 he was appointed to the St. Sava Church in Pittsburgh where he remained until 1962. Here, two more chidlren were born, Valerie and Velimir. During his time in Pittsburgh he served as chaplain at four local universities. Also, he was secretary of the Central Council, director of the committee for Christian Education and the summer church camp. In addition to this, he was editor of two church journals. In 1962 he transferred to the St. Archangel Michael parish in South Chicago where he remained until his election as Bishop of Eastern America and Canada. Bishop Firmilian of Midwestern America elevated him to the rank of Protopresbyter on Christmas 1964. As priest of the South Chicago parish he established the Serbian Orthodox Association for church school teachers and the youth. The main mission of this organization was to promote quality education for teachers. When the schism occured in the Serbian Orthodox Church in America and Canada in 1963 Protopresybter Velimir Kovacevic remained, together with his parish, with the Mother Church and the Serbian patriarch. He was and remained until the end of his life a leading defender of law and order in the Church. He lived to see what had been his wish, church unity on the North American continent, which was partly in credit to him. During the schism per the recommendation of the Holy Synod of Bishops and the Assembly of Bishops he served as the main translator before the state courts. Many of the documents from that period were translated by him to Serbian. As the South Chicago parish priest he received his master's degree at Holy Cross College in Boston. He brought all his doctoral studies to an end at the University of Chicago. Due to many obligations he couldn't defend his dissertation... At a formal ceremony the Anglican Seminary „Nashotah House“ gave him an honorary doctorate in 1997. After nineteen years of marriage and four children his Popadija Milka passed away in the Lord in 1970. In 1978 at their regular May meeting and upon the recommendation of Bishop Firmilian of Midwestern America, the Holy Assembly of Bishops of the Serbian Orthodox Church elected Protopresybter Velimir Kovacevic as bishop of Eastern America and Canada. He was consecrated that same year by Patriarch German, receiving the name Christopher, after St. Christopher. Kovacevic was the second Serbian bishop born in America. The first was Bishop Varnava Nastic of Hvosno. As bishop of Eastern America and Canada he developed the diocesan programs for Christian education. He completely computerized the administration of the diocese which is still used to this use. He represented the Serbian Orthodox Church at pan Orthodox conferences. He took part in the work of Orthodox and Roman Catholic bishops, as well as in Orthodox-Lutheran dialogue. He also represented the Serbian Orthodox Church at the World Council of Churches. He suggested to the Holy Assembly of Bishops in 1983 that a re-structuring of his Diocese be done and that two dioceses be established: the Diocese of Eastern America with its See in Edgeworth, PA and the Diocese of Canada with its See in Toronto. He continued to administer the Diocese of Eastern America until 1991. At the regular meeting of the Holy Assembly of Bishop in May 1991 he was elected as the first metropolitan of Midwestern America with headquarters at St. Sava Monastery in Libertyville. Since his arrival as metropolitan he also served as Dean of the St. Sava School of Theology in Libertyville. He worked with state officials in having the School of Theology in Libertyville recognized as an institution of higher education in America and Canada and in Europe as well. After the re-structuring of the Serbian dioceses in the United States of America and for the good of the Church Metropolitan Christopher received a new title in 2009: be became Metropolitan of Libertyville-Chicago, giving the Metropolitanate of Midwestern America which has been entrusted to his care, over to Bishop Longin of New Gracanica. The Holy Assembly of Bishops, at their meeting rendered the following decision that „according to which the Dioceses of our Church on that territory will be structured in the following manner: The Metropolitanate of Libertyville-Chicago, with its See at St. Sava Monastery in Libertyville (comprised of St. Sava Monastery in Libertyville, Illinois and the Holy Resurrection Cathedral Church with its three parishes), whose Metropolitan shall be president of the Episcopal and Central Church Councils and of the Church-Laity Assembly, and thereby the ex officio representative of the Serbian Orthodox Church on that territory“. Metropolitan Christopher is undoubtebly of the most significant witnesses and players in the recent history of the Serbian Orthodox Church. The legitimacy of his participation in the battle against the schism in the Church is in the fact that this spiritual bard, though born outside the borders of Serbia, remained with the Mother Church. His social, but above all spiritual, engagements are interwoven with the living threads of advantages and disadvantages, ups and downs of a people who came here to stay and brought with them many customs. With the aim of creating a Christ-like nation, Kovacevic, instead of building up a nationalistic identity always emphasized Christ and always put in the first place the Church from whence we all receive our identity. In the constant battle Metropolitan Christopher never complained. He devised his existence, fulfilled his mission, and led the Church on this continent to unity. The battle was great but Metropolitan Christopher's energy was greater. Everything he said he backed up with his actions. He never did anything for himself but only for the Church. 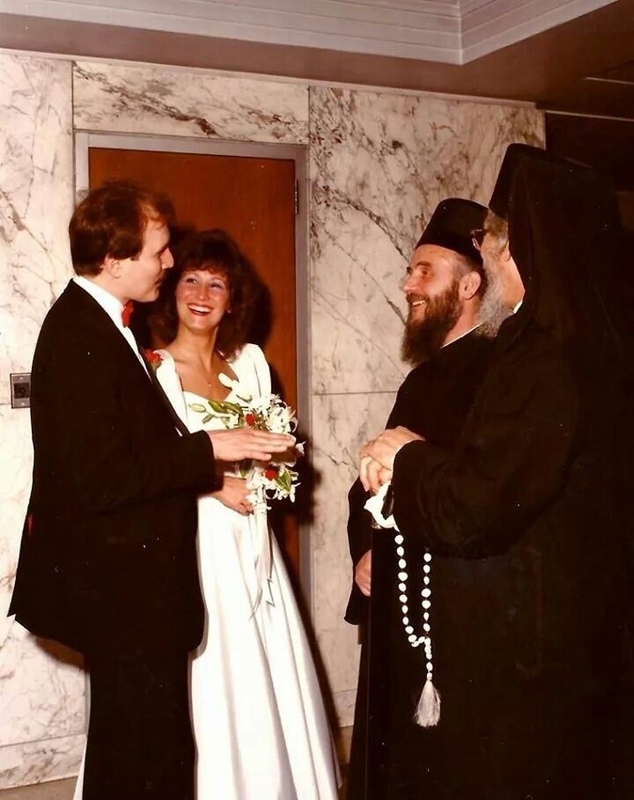 Thus, it wasn't difficult for him to “give” his entire diocese and unite it with the Diocese of New Gracanica for the sake of God-pleasing unity, keeping for himself only one church in Chicago and the most significant monastery, St. Sava Monastery in Libertyville. 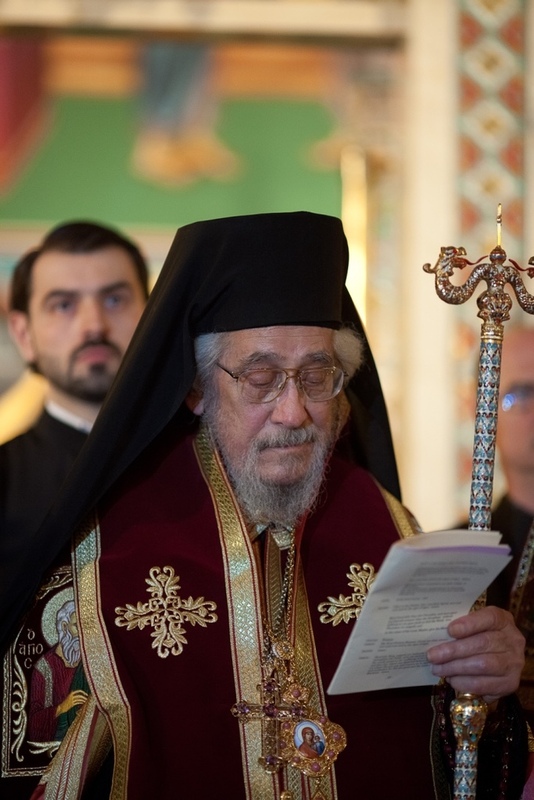 No one took his Diocese, no one would have asked for such a sacrifice, but Metropolitan Christopher of blessed repose knew that a speedy unity could be reached only in that manner, said Bishop Georgije of Canada at the funeral of Metropolitan Christopher at Holy Resurrection Cathedral in Chicago. I would like point out some of the virtues of Metropolitan Christopher of blessed repose: I met him at the Serbian Patriarchate in Belgrade during the bombing in 1999. Then, as a senior at the Prizren Seminary, I came to speak with him about enrolling at the theological school in Libertyville. We spoke for five minutes in English. At the end he told me: “Good boy, welcome to Libertyville.” And so it was. From 1999 to 2010, that is until his repose, he was present in my life, and I in his. During my studies he watched over my intellectual development. After graduating he ordained me to the rank of deacon and included me among his closest collaborators. Metropolitan Christopher had much influence on my life, as well as the life of the Church and the flock entrusted to him on the North American continent. As an expert of church administration, he brought an administrative-legal order to all church-school congregations in America. This knowledge he selflessly passed on to others. He had patience. He placed administrative tasks before me waiting at times indefinately for me to solve them. May the almighty Lord and Savior, the Proto-Image, grant rest to the soul of Metropolitan Christopher, a tireless laborer in the Lord's Vineyard.